SOCSD’s version of the Moat Boat is called the Dutchmen Duel. The Dutchmen Duel is open to all students in South Orangetown. Students will work individually or in teams to design a 3d printed, rubber-band powered boat that can race across a water racetrack! Each round is the best of 3 races. The winner moves on to the next round. Your design must fit within the dimensions listed below and must obey the following set of rules. Boats must utilize less than 50g of filament. Boats must be 100% 3D printed (PLA or HIPS only). Boats must be powered by rubber bands. No electronics or combustible materials or allowed to power your boat. Additional Rules apply. Please read here. A. Select sign up and put in your birthdate. C. Use your school password. 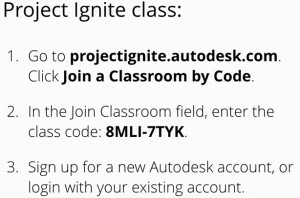 D. Now you are ready to use this username and password in Tinkercad.com. G. Start designing your paddle boat! To submit your design for 3D printing, follow the steps below. Double check that your design is flat on the work plane. Upload your design to the assignment in the class.